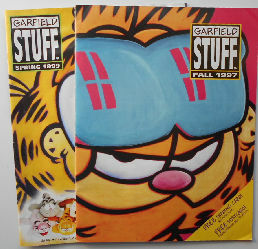 Here is one set of two Garfield catalogs that were mailed out to Garfield collectors. One catalog is Fall 1997; the other catalog is Spring 1999. Approximately 28 pages in each catalog. The catalog for Spring 1999 has some "wrinkling" due to water damage. 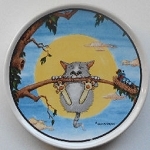 Previously owned but in good condition except as noted.